In the supersport liter class, there�s always lots of talk about power. You expect that. What you wouldn�t have expected � until now � is a radically superior way to deliver that power. 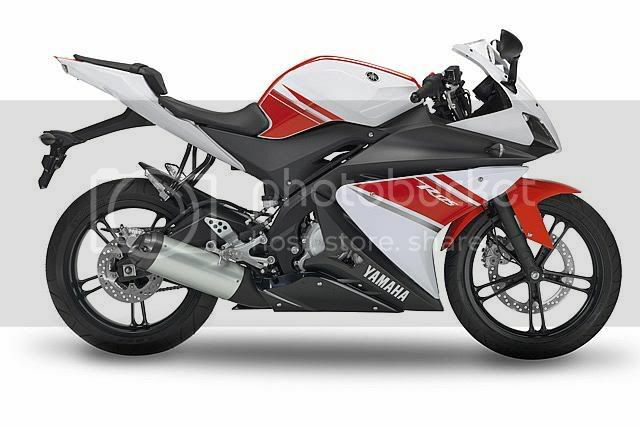 Introducing the 2009 YZF-R1, the first ever production motorcycle with a crossplane crankshaft. Crossplane technology, first pioneered in MotoGP racing with the M1, puts each connecting rod 90� from the next, with an uneven firing interval of 270�- 180�- 90�- 180�. This all but eliminates undesirable inertial crankshaft torque, which allows the engine�s compression torque to build smoothly and provide a very linear power delivery out of the corners. It�s a feeling that�s simply unmatched, like having two engines in one: the low-rpm torquey feel of a twin with the raw, high-rpm power of an inline 4. In fact, the new YZF-R1 is not a continuation of existing supersport development; it is breakthrough technology that represents a paradigm shift in both technology and performance. This next-generation R1 keeps all the technological superiorities developed for its predecessor: YCC-T (Yamaha Chip Controlled Throttle) is MotoGP inspired fly-by-wire technology used to deliver instant throttle response. YCC-I is Yamaha Chip Controlled Intake which is a variable intake system that broadens the spread of power. The fuel injection system provides optimum air/fuel mixtures for maximum power and smooth throttle response. The R1 features Yamaha D-MODE (or drive mode) with rider-selectable throttle control maps to program YCC-T performance characteristics for riding conditions. The standard map is designed for optimum overall performance. The �A� mode lets the rider enjoy sportier engine response in the low- to mid-speed range, and the �B� mode offers response that is somewhat less sharp response for riding situations that require especially sensitive throttle operation. Switching maps is as easy as pushing a button on the handlebar switch. In keeping with this machine�s exceptional cornering ability and crisp handling, the all new aluminum frame has been designed to offer exceptional rigidity balance. The rear frame is now lightweight CF die-cast magnesium, contributing the optimum mass centralization. Suspension includes new SOQI front forks which use one of the tricks developed for our winning MotoGP bikes: independent damping. The left fork handles compression damping and the right side handles the rebound damping. And the rear shock adopts new bottom linkage for optimum suspension characteristics. All new bodywork does more than add break-away-from-the- crowd styling. Completely new, the new model has a more serious, less busy look. The side fairing is smoother for a sleeker appearance. And, instead of the usual four bulb headlight design, the �09 model now has only two projector-type bulbs mounted closer to the nose of the bike. This positions ram air ducts closer in for a more compact, smooth look. In addition, the rounded lenses are new and unique to the supersport industry.